PARIS – September 1, 2016 – The Brazil-Uruguay interconnection makes progress. 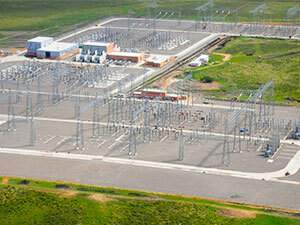 GE (NYSE: GE) has successfully commissioned back-to-back High Voltage Direct Current (HVDC) converter facilities as well as extended and equipped existing substations for Interconexiones del Sur (ISUR). Installed in Melo, situated north-east of Uruguay, the converter facility will allow Uruguay to trade energy with Brazil, increasing the flexibility and reliability of grid networks in both countries. This 500 KV, 420km interconnection transmission line linking Brazil’s Candiota substation to Uruguay’s Melo substation could provide up to a third of Uruguay’s power needs. The line will equip both countries with the ability to buy and sell clean energy. In Uruguay, renewable energy, predominantly hydro and wind, now account for over 90% of its electricity demand. In Brazil, it accounts for close to 80% of the country’s energy needs. Both countries were named in World Wildlife Fund’s (WWF) Green Energy Leaders in 2014. Apart from energy trading, the interconnection provides both countries with security of electrical supply by increasing network resiliency. There is also cost reduction potential as trading occurs when prices are attractive. Uruguay estimates a potential annual saving of $200 million. The ability to better use renewable energy sources will also allow both countries to reduce their carbon emissions. Uruguay has an ambitious pledge of a carbon emission cut of 88%1 by 2017, whereas Brazil is aiming for a reduction of 37%2 by 2025. GE’s Grid Solutions business’ back-to-back High Voltage Direct Current (HVDC) converter is required as Brazil and Uruguay’s power networks have different electrical frequencies, 60Hz and 50Hz respectively. In addition to this, Grid Solutions extended the Melo Substation and supplied Alternative Current (AC) equipment to the Candiota substation in order to improve the control of harmonic distortion3 in the AC Network. “Connecting countries through these electrical superhighways is a key element of ensuring reliability of electrical networks and availability of electrical supply. The ability to trade renewable energy goes one step further to promoting cost effective and sustainable electricity for all,” said Patrick Plas, General Manager, HVDC & FACTS at Grid Solutions which is a part of GE Energy Connections. “Back-to-back HVDC solutions are increasingly being considered as the optimum solution to connect countries with different frequencies,” he added. The Brazil-Uruguay interconnection plays a part in Latin America’s aim to provide access and stable supply of electricity in the region, by optimizing the economies of scale of its wide array of energy resources. 3 Harmonic distortion is caused by nonlinear devices in the power system. A nonlinear device is one in which the current is not proportional to the applied voltage.